We’ve been busy implementing a new business model at HighTechXL, which is why we paused the mentor program. We’ve now revamped the program, and are rolling out the new HighTechXL Mentor Community Program to our network. HighTechXL began as a high-tech hardware startup accelerator. We scouted for startups around the globe who competed for a spot in our 3-month program. Along the way, they worked with mentors in the community to help them launch their companies. We continue to work with high-potential high-tech startups, but now we focus on deep-tech startups. How do we do that? With the support of Eindhoven Startup Alliance partners, we source patented technology from organizations like CERN, Nikhef, TNO and other corporate tech partners, scout for the most qualified talent and build a team around the technology to build a venture. 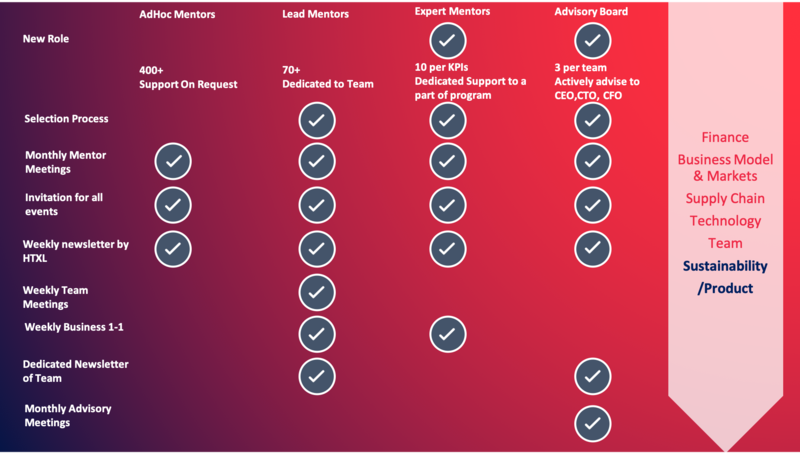 Now, the teams progress through a nine-month comprehensive venture-building program divided into three phases, which is why we need engaged mentors, lead mentors, expert mentors and advisory board members in various domains and at every phase of the program.